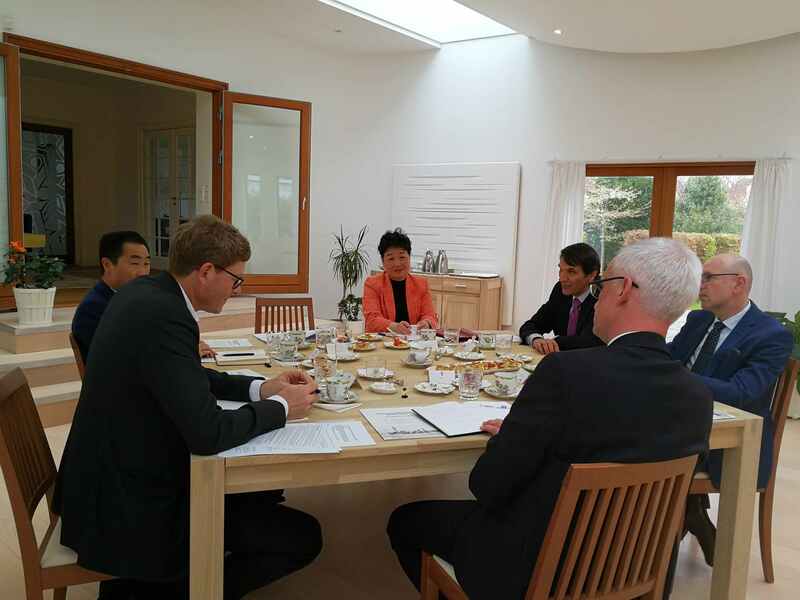 On 26th April, Invited by President and CEO of Lego Group Niels B. Christiansen and Hungarian Ambassador to Denmark László Hellebrandt, Ambassador Deng Ying attended the informal meeting between Lego Group and Ambassadors of China, Hungary, the Czech Republic and Mexico, where Lego factories are located. 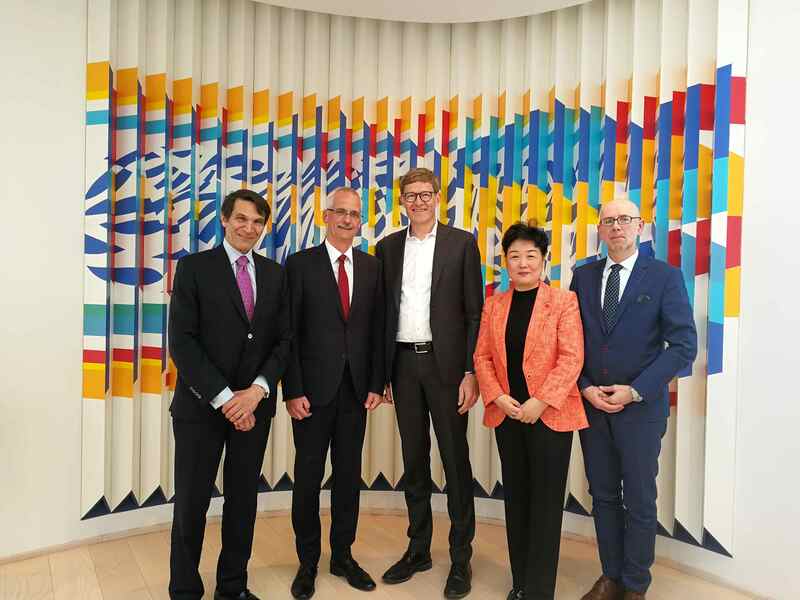 President Christiansen briefly introduced Lego Group’s production and operation in the four countries as well as around the globe, and exchanged his views on free trade, IPR protection and corporate social responsibility, etc. Ambassador Deng expressed her thanks to President Christiansen and Ambassador Hellebrandt for their kind invitation and extended her congratulations on Lego’s achievements in the Chinese market. She introduced the significant measures China will take for further opening up, esp. the measures for creating more attractive investment environment, e.g. to strengthen IPR protection and to expand imports, etc. She hoped Lego to seize the opportunity, better involved in China’s economic development. At last, she welcomed Lego to attend the first China International Import Expo, which will be held in Shanghai in November this year.